Come “Journey With Janet”. Janet has been in her spiritual journey for over 20 years now. She has been a psychic reader for over 13 years and is certified in many different healing modalities. She comes from a place of love and compassion. Janet believes everyone is here for a reason and everyone has a path to follow. She also believes there are 2 paths you can take on your journey…an easy gentle path or a long hard difficult path. She personally opts for the easy gentle path. Janet can give you some guidance to follow the easy gentle path, if you so wish. Keep in mind; we all have free will. She was guided by Spirit to create her own “Crystal Insight Cards”. These cards are designed to give you a quick insight in a gentle way to help you move forward on your path. Most of the time when you find yourselves stuck in a situation or relationship, it is because you are not sure in which direction to move. These cards can assist you in the process. Jessie is a 3rd generation gifted clairvoyant who uses her gift of second sight to view the spirits around you and uses her artistic gifts to draw them for you. She has been utilizing her gift for over 25 years, and it is constantly evolving... she now also passes along information from the animal kingdom, crystal kingdom, past lives, color energies, and more! When you sit with Rachel the session starts right away as she’s always picking up information from your energy. While she is skilled at the tarot cards, she reads in layers. She hears messages from Spirit, Angels and deceased loved ones. She sees images from your guides. She telepathically receives information from your animals; living and deceased. 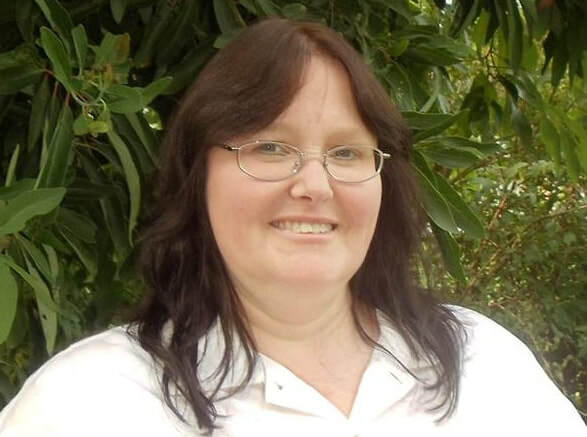 Rachel will use a variety of modalities in your reading from mediumship, telepathy, remote viewing and precognition. She is particularly gifted at finding lost items. To be curious and unsettled in some area of life is common so come with questions as Rachel likes to jump right into your session. She utilizes her strong coaching background and the Law of Attraction in her readings to help you move forward in places that feel stuck. Rachel has nearly 20 years experience reading professionally and has read in a variety of settings from public to private. Her clientele spans the globe, she reads regularly for celebrities and works often for Law Enforcement. She travels, speaks and teaches internationally. 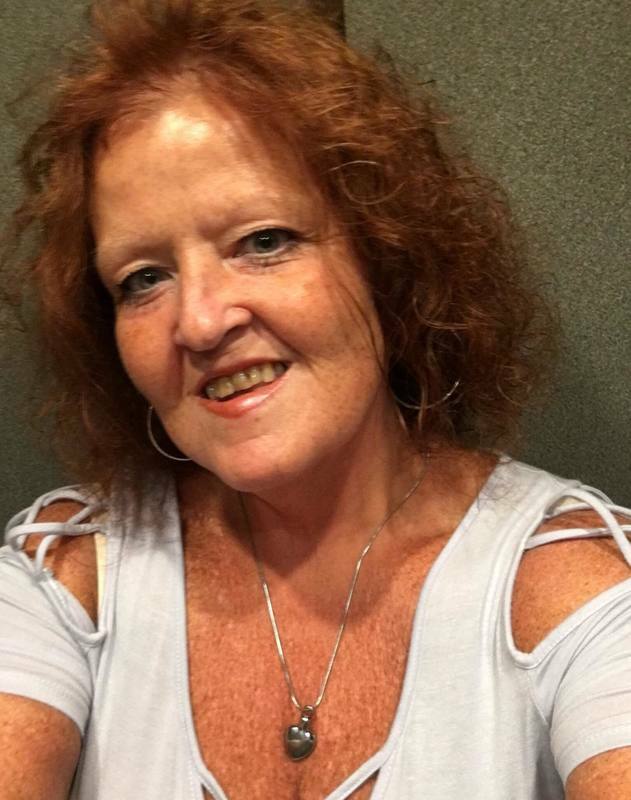 Jackie Bumm is a gifted Psychic and Medium born in Kentucky. She realized her psychic gifts in childhood, but her mediumship abilities manifested later in life. Jackie ran a Metaphysical Society where she taught self empowerment, psychic development, meditation and energy work. Jackie is an open channel and receives messages from your Angels, Guides, Ascended Masters, and Source. Jackie completed her studies to become a Reverend of Metaphysics in 2012. 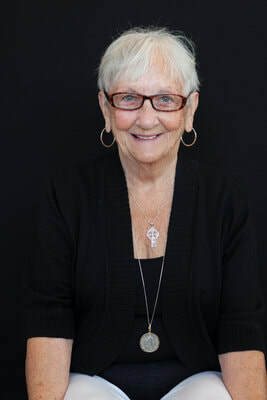 She currently works with the Connecticut Psychics giving messages for spiritual growth and guidance. Jackie does not use cards to give you a reading. As an open channel, relaying messages from your Angels, Guides, Ascended Masters and Source, she tells you the messages but also writes them down on paper so you can keep a copy of them for later. She allows spirit to tell her what your soul needs to hear for spiritual growth and healing. Jackie may give you messages from crossed over loved ones. She can also clear and cleanse you or your home of negative energies, and also offers spiritual counseling to help clear your path for manifesting your best life. James Luse has been a practicing Spiritualist for 25 years. He has studied mediumship & clairvoyance at spiritualist churches around the country. His longest duration of study has been at The Farmington Hypnosis and Awareness Center under the tutelage of Althea De Pascale. James has been reader/clairvoyant/medium for: Psychic Fairs/PHD, The Magik Mirror in Milford, Sea, Earth, & Sky in Niantic, The Knight People in Middletown, and Maison Rouge in Bronxville, NY. Presently he is reading at Touch of Sedona in Ridgefield, CT and Mystical Parlors in South Norwalk, CT.
James wants people to know that: Only the most high of energies; lightworkers, angels and celestial beings are contacted. The intention is always for the highest and greatest good of the person being read for. understanding, education, and training. She possesses the ability to intuitively and spiritually connect with animals, both living and crossed over. She can provide healing insight and understanding about a pet to their "pet parent." This insight and information can help put a caretaker more in tune with how to enrich the overall experience and relationship with their pet. A session with Kim only requires a photo of the pet and could reveal: Insight into your pet's perspective on their behavioral or medical issues and possible solutions to help address these issues. Additional ways to meet the pet's physical, emotional, or health needs. Suggestions from the pet on how to enhance their life experience. How the pet perceives their environment, medical conditions or treatment options. How the pet relates to other members of their family (both 2-legged and 4-legged). How to form a deeper connection and bond with your pet. Kim holds a B.A. degree in Cultural Anthropology and Psychology. She is also a Certified Reiki Master Teacher and Shamanic Practitioner, focusing on Peruvian healing traditions. Lynne Hartwell is a Psychic Intuitive with over 20 years experience. With Compassion and Professionalism she explains the physical & infinite realms to help you better understand your current situation, how to overcome obstacles or challenges and move forward. She has appeared in numerous public appearances, Expos, Public Speaking Presentations, TV & Radio appearances. 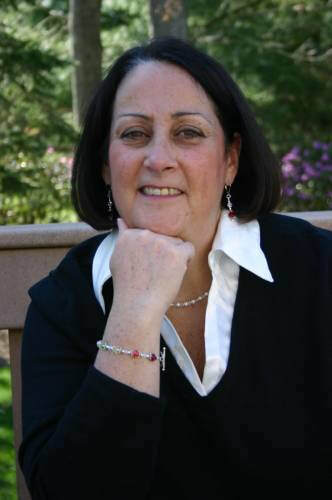 Lynne runs private and group practices in MA & CT.
“Spiritual Connections” are psychic intuitive readings that are done in connection with your Spiritual Guides, Angels, Loved ones in spirit and/or your Higher Consciousness. During a session, the reader can expect to receive accurate, compassionate and insightful information. All information comes from a Higher Source, from a place of Love, support and acceptance. Readers are encouraged to come with a goal or intention to focus on during the reading, or they can come with the desire to know more about a particular situation. It’s perfectly OK to come with just the intention of hearing what their Guides or loved ones (including Animal Companions) have to say to them. The Gypsy cards tend to give the information that you NEED rather than answer a question you may have. In fact, it is best to clear your mind while shuffling the cards, rather than think about a specific question or issue. The deck itself is more closely related to a playing card deck than a Tarot deck, and is not commonly seen at most psychic fairs. Betsy-Ann has been reading “Gypsy Witch Cards” since she was 16. Her readings come about through a combination of intuitive interpretation of the cards, her Guides’ messages, and Spirit contact. Even she never knows quite who will show up to assist in a reading, but her goal is to help her clients take a peek into what their path looks like at this moment in time, were nothing to change. She emphasizes that the reading will only show “where things are currently headed”. She feels very strongly that “Nothing is written in stone – we all have Free Will to change our path and make new choices”. Come experience this unique reading style and see the Gypsy cards in action! Irene is an empathic, intuitive tarot reader who receives messages from her guides and angels through clairvoyance, clairsentience, claircognizance, and clairaudience. Irene is personable and engaging through a direct approach and delivers meaningful messages to assist you along your path. You will enjoy Irene’s honesty, humor and sensitivity given to each reading. Irene currently studies in the Holistic Practitioner program at the Healing & Harmony Center in Glastonbury with Priscilla Bengtson. She also visited the Lily Dale Assembly in New York state this summer where she participated in a variety of workshops and events to assist in the further development of her skills. Jen Fields, intuitive Reiki Master, teacher/healer, will help you unpack your earth school back pack (intentions, hopes, frustrations) and use your Soul Gear (gifts, talents, personality) using Celtic Tarot and Personality Type to read and understand your lessons (real life situations, karmic patterns). She will help you set and support your intentions with individualized mantras, recommended activities, and "Ener-gality" crystal bracelets. Consultations are private and confidential. Karn can focus your reading around a specific area of your life or give you an overview of what's to come. She does this using Psycards and/or with her gift of clairvoyance. Karn has over 16 years of experience as a professional reader and will deliver your messages to you with the kindness you deserve. Karn was born as a clairvoyant with an innate ability to communicate with loved ones in spirit. Her gifts were not understood by those around her at a young age, so they laid as buried as any true gift can for many years. But they were not to be kept down and Karn was in for quite the journey, one she draws on frequently when facilitating her Psychic & Intuitive Development Class. She has honed her own abilities by studying with some of the most famous psychic mediums of our times. Karn delights in doing animal communications, is a Certified Hypnotherapist, Reiki II Practitioner, and a Certified Healer, having graduated from the Connecticut Healing Institute where she was also a student teacher. Sherri June, a clairvoyant psychic reader, has been reading for 30 years. Her readings are done with astrology, tarot, and clairvoyance. A former celebrity stylist in makeup, Sherri made the switch professionally years ago. She hasn't looked back!! Disclaimer: All readings are for entertainment purposes only and intended for adults 18 and over.